It is a bad habit of ours that we judge dogs by our own standards. We assign them human value systems and expect them to conform to them. We also attempt to measure the intelligence of a dog based on human criteria. This is why many people mistakenly think their dog is none too clever. In the wild, dogs needed the intelligence to not get killed and to find food. Those that did so were smart enough. When man came along and decided he wanted dogs to help with hunting and guard settlements, we took instincts, not intelligence, and used them for our advantage. 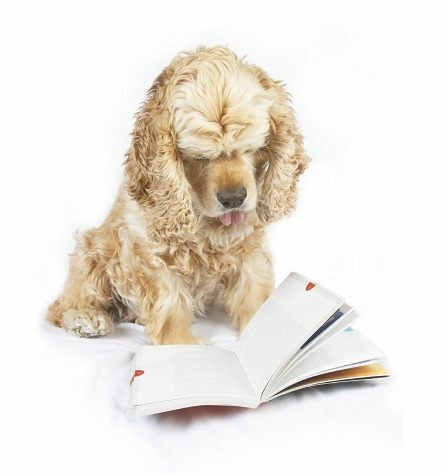 Read on as Andrew McInnis explores the best methods to understand the intelligence of a dog. Some dog owners and dog trainers expect their dog's level of thinking and smartness to be the same of humans, when being trained. This mistaken assumption about dog psychology can be devastating to the expectations of both the dog owner and the dog itself. Trainers shouldn't assess canine intelligence against human standards. Each individual canine may possess his own unique talent. If the occasion does not arise for the animal to display this talent, it doesn't mean he's dumb. For centuries, behaviour experts have been trying to devise a test that measures all aspects of human intelligence and have failed miserably. With this success rate in mind, how can canine experts profess to measure the dog's intelligence when we do not even speak the same language? When judging how clever your dog is, don't forget that labelling a dog as stupid can be as unproductive and damaging as labelling humans the same way. Some people may remember the stigma that surrounded the ‘not so clever’ Dalmatian breed. Little did people know that they were dealing with dogs that were deaf, an all too common trait in the breed, and not ignorant or stupid dogs. If an animal is labelled dumb, the owner usually gives up trying to teach the dog. The label then becomes self-fulfilling because if his owner won't train him, the dog really won't know anything. On the other hand, labelling a dog smart may create unrealistic expectations and disappointment if he doesn't respond as expected. Perhaps all these "dumb" dogs are just clever enough to make their owners think they are dumb to avoid the effort of obeying! A very frustrated Basset Hound owner complained to his instructor that he had spent a month trying to teach his dog to sit on command and the dog just didn't get it. As the owner was explaining his dilemma, the instructor was mindlessly playing with a piece of liver that she had not put away after working with another dog. The Basset noticed the liver and began nudging the instructor. From pure habit, she told the dog to sit. Dogs are highly functioning intellectuals in their own way, provided we don’t put human expectations on them. Understanding that every time we train a dog to do something, that dog is making allowances and attempting to accommodate our desires. Your dog may not be quick to sit on command, but this is rarely a sign of stupidity.